More of our of our famous Murder Mystery Nights. This is your chance to test your ability as a super sleuth and see if you can unmask a killer in your midst! The evening starts quietly enough but, as your excellent three course dinner is served, a story unfolds before you. The people you meet may not be as they seem and may not be telling you the truth. Tensions and arguments soon surface eventually resulting in murder! An investigation begins where you can play a key part in assessing the facts and questioning the suspects. All the clues will be there to lead to the correct conclusion, but will they be correctly deduced? The investigator, with your help, must get to the truth before the night is out! 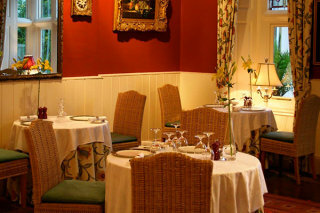 Just £45 per person including a fabulous three course dinner and the evenings entertainment.